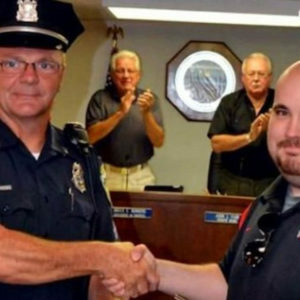 Truth be told, concealed carry isn’t always easy. Or convenient. In the winter, when you’re wearing extra clothing, putting on a sweater or walking around with a cover jacket — even indoors — isn’t a big deal. You can get away with a comfy outside-the-waistband set-up and no one will be the wiser. But there are plenty of times when packing a piece on your hip can be problematic. 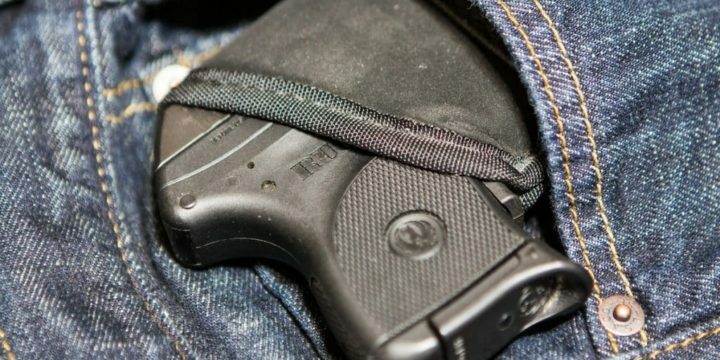 Even carrying IWB in a tuckable holster can be more than you want to deal with depending on temperature, dress code, whatever. That’s when you need a reliable pocket gun. 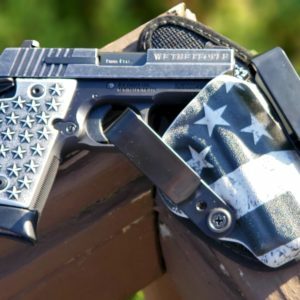 Something you can stuff into your pants — either front or back — without looking too tumescent, yet is available for a quick draw should the worst happen. 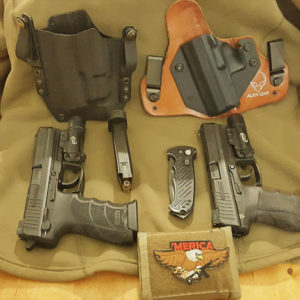 In the appropriate pocket holster (perhaps an Uncle Mike’s or a Sticky Holster) you’ll be ready no matter where you go. Of course, the definition of what’s pocketable depends on the carrier. What you may be comfortable toting in a pair of Dockers doesn’t won’t necessarily make my list of what I’m willing to carry. The bigger you are, the more capacious your pockets. So with that in mind, here are five proven, petite single stack semi-autos that just about any carrier can feel good about packing. 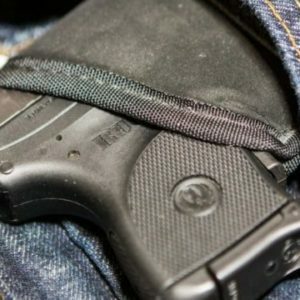 Lots of concealed carriers aren’t comfortable packing a pistol — especially in a pocket — that doesn’t have a safety. 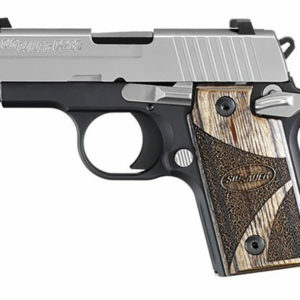 The metal-framed P238 alleviates that worry. 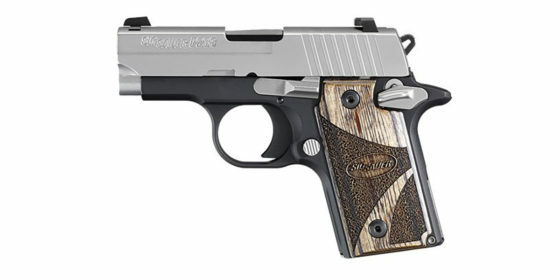 At 15.2 ounces, it’s both the heaviest (and most expensive) pistol in the group. But with SIG’s SIGLITE night sights an excellent trigger and its 1911-like manual of arms, plenty of carriers will find the P238 is the perfect pocket gun. 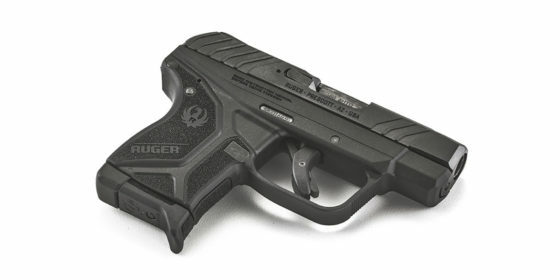 When Ruger updated the LCP with the aptly-named LCP II, the biggest improvement they made was to the trigger. 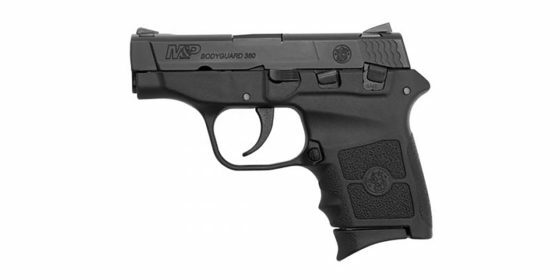 What used to be a long, gritty heavy pull has been lightened and smoothed with better resent, making the LCP II a joy to shoot for a pocket gun. While the sights are rudimentary, theres’ virtually nothing to catch or snag on your clothing during the draw. 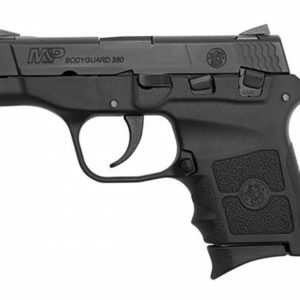 And for those of us you who abhor a safety on a personal defense gun, the LCP II comes without one. 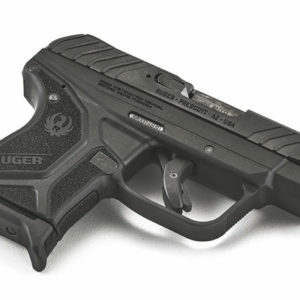 Smith’s ultra-slim, ultra-light polymer semi features sights you can actually see, a frame-mounted safety (Smith no longer offers a safety-less version) and decent accuracy for a pocket gun. The trigger pull is, well, long as is re-set. Many see that as a feature rather than a bug in a pocket gun. But at less than an inch wide and weighing only 12 ounces, it virtually disappears in your pants. 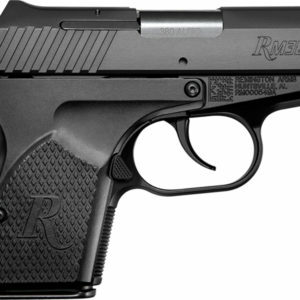 Remington took the best of Rohrbaugh’s impressive R9 design and made it an affordable, more reliable .380. 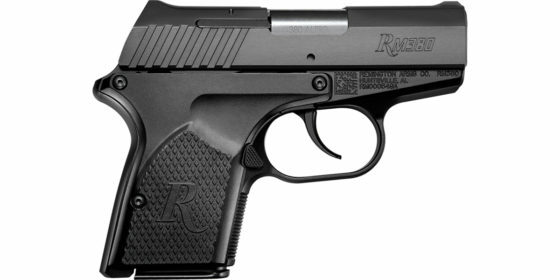 Adding a slide stop and a traditional mag release, the aluminum-framed RM380 fills the hand nicely (while staying under one inch in width) which reduces felt recoil. While its sights are barely there, their smooth, snag-free design ensures a clean draw in a gun that goes bang every time. Which is much more important in a bad breath-distance personal defense gun. While improvements in bullet design have made the .380 cartridge a very viable personal defense round, some concealed carriers don’t want to pack anything chambered in less than 9mm. 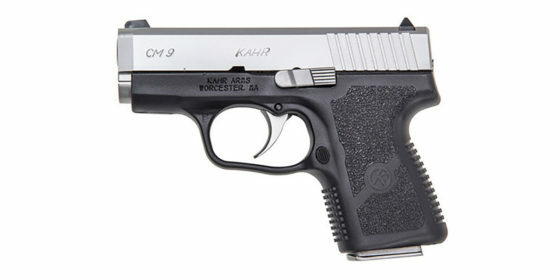 If that’s you, Kahr’s diminutive CM9 let’s you carry 6+1 rounds of parabellum power in a package that’s the same size as most .380’s. The CM9 may weigh a couple of ounces more than a comparable .380, but that’s not a bad thing when you touch off a 9mm round from a package this small. There’s no safety to fiddle with. 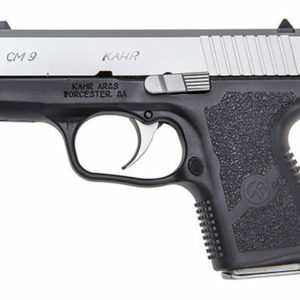 Most carriers will find Kahr’s long, smooth trigger pull all the safety they need. SUBMIT YOUR #DIGTHERIG | SEE MORE SUBMISSIONS HERE​ Sig P938 in a Stealth Gear Ventcore Appendix holster. I carry a the Po38 because I am accurate with it and its reliable. Appendix is most comfortable for me and easily accessed if needed, even while sitting down.